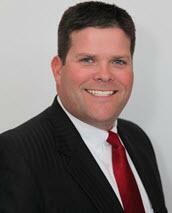 Corey Nichols joined Michael L. Hawkins & Associates, P.L.L.C. in March 2016. He is a Frankfort native, currently residing in Lexington, Kentucky. He performs much of the firm's Criminal Defense practice, representing clients charged with misdemeanors, felonies, DUIs, or other traffic violations. He also represents clients in divorce and custody proceedings in Franklin, Woodford, Anderson, and surrounding counties. Mr. Nichols is a member of the Kentucky and Franklin County Bar Associations. Mr. Nichols received a Bachelor of Arts with a major in Education and a minor in English from the University of Charleston (WV) in 2008. He then received his Juris Doctor in 2014 from the University of Kentucky College of Law. During his time in law school, he clerked for multi-state firm Steptoe & Johnson in their litigation practice groups, and wrote daily posts for popular website Kentucky Sports Radio. After receiving his J.D., Mr. Nichols worked at a law firm in Winchester, KY. Prior to joining Michael L. Hawkins & Associates he was a senior staff member on former Attorney General Jack Conway's Campaign for Governor. He currently serves as Youth Pastor at his church in Shelbyville.